Next time the parents will be more careful and have the toddler by hand. 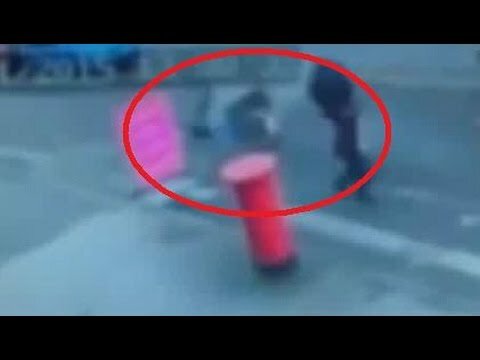 This happened in Birmingham, where the CCTV cameras captured the moment this child was almost hit by a drain cover, that blew. Firemen arrived shortly after due to several calls complaining about the explosion, believing that it happened due to the build-up gas. For the parents this must serve as a lesson. Next time they will pay more attention to the child that, actually, was walking in the street, not even in the sidewalk.